For the past couple of months we’ve been rankings this season’s top rookies from top to bottom. 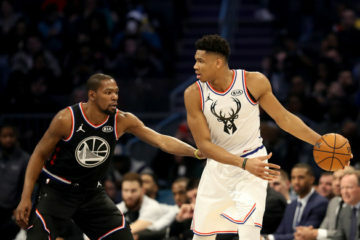 The All-Star Game has come and gone and fantasy leagues are now coming back from their hiatuses, so there’s no better time to evaluate the first-year players and their impact for the remainder of the season. Here are the mid-season rookie rankings with their previous rank and change in parentheses. In each of my rookie rankings pieces KAT has been No. 1 and I’ve also said that will never change. It still hasn’t. He finished the first half with a career high 35 points against the Toronto Raptors and won the Skills Challenge over All-Star Weekend. The sky’s the limit. Porzingis is one of the few bright spots in another disappointing season for the Knicks. With trade rumors swirling around Carmelo Anthony, this could be the rookie’s team sooner than later. Okafor has made a big leap over the past 10 games, scoring 16.9 points on 55.7-percent shooting with 7.4 rebounds and 1.4 blocks. He had averaged 15.6 points (52.5 FG%), 6.0 rebounds, 0.6 blocks over his previous 11. Coach Brett Brown has given he and Nerlens Noel more time on the court together which is a good sign of things to come. All Turner needed was an injury to Ian Mahinmi to bust out. Mahinmi only missed four games but it was enough to land Turner a starting gig — one he’d never give up. In his last 13 games, he’s averaging 15.5 points (54.6 FG%), 7.1 rebounds and 2.2 blocks — and that’s despite having blocked just two shots over his last four games. The rookie out of Texas is finally showing us why we were so high on him in fantasy drafts. It has been tough for fantasy owners to own Russell this season. Many players are “handcuffed” by players higher up in the pecking order. In Russell’s case, he’s been held back by his own coach. Byron Scott is an embarrassment to the coaching profession — this has been the case for a couple years now — but his decision to constantly bench and reprimand a prized prospect in what is a lost season goes beyond comprehension. Scott’s personal agenda will get him fired and likely cost him a chance at ever being a head coach again. I hope appeasing Kobe Bryant and satisfying whatever twisted plan you had was worth it, Byron. Eric Bledsoe‘s season-ending injury has thrust Devin Booker into a starting role, and he’s flourished. 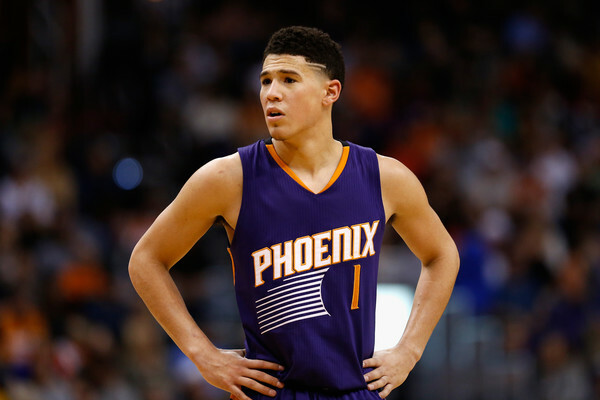 Booker is the youngest player in the NBA but his play of late shows us his maturity. Since Bledsoe went down, the former Kentucky Wildcat is averaging 16.3 points on 43.9 percent shooting with 1.7 treys per game. He’s been even better over his last 12, putting up 18.5 points with 2.4 threes. He proved he could shine on the big stage too, finishing third in the 3-Point Shootout and scoring 23 points in the Rising Stars Challenge. Jokic’s minutes have been on the downswing over the past week with the Serbian center playing just 19.1 minutes in his last three games, but owners shouldn’t be worried; Jokic is a big part of this team’s future and he should continue to be a focal point of there offense in the second half. A trade of Kenneth Faried would give him even more value. As it stands, Jokic is the 32nd-ranked player in 9-category leagues over the last month. It may even be a good time to buy low from an impatient owner. Johnson was one of my favorite non-top four picks in this year’s draft, but it took him a little while to start producing. 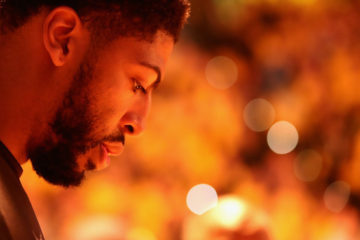 He had a miserable first three months, scoring just 8.6 points on 39-percent shooting in 22.7 minutes. But February has been a different story. Due to an injury to Kentavious Caldwell-Pope, as well as a couple missed games/inconsistency from Ersan Ilyasova, The Stanimal has flourished. He’s just 19 years old, but 12.7 points, 6.5 rebounds and 1.3 threes in the month show he’s ready to break out. I like him a lot the rest of the way, even with KCP expected back after the break, and he’s someone I’d be holding on to. Mudiay returned from ankle injury on January 10, and it’s like he’s a different player. Well, to a degree, at least. He’s still no superstar (yet), but the improvements post-injury have been very noticeable. Prior to sitting out those 14 games, Mudiay was arguably the WORST everyday player in fantasy basketball. He was averaging 10.7 points on a an awful 31.0 FG% with 4.0 turnovers per game. Those stats were bad enough that his 5.7 assists, 3.5 rebounds and 1.0 steals were rendered useless from a fantasy perspective. He was the 359th-ranked player in 9-category leagues during that span. Only one other player with more than 20 minutes per game (Tayshaun Prince) was outside the top 300 during that stretch. However, since his return, he’s right under 300, coming in at No. 299. Sure, that still blows, but he’s upped his field goal percentage by 7.3 percent and he’s scoring 1.7 more points. He’s even dishing out 0.4 more assists. Mudiay is a real work in progress and he may not become ownable in re-draft leagues for a few years. His terrible shooting (he’s also a 61.6 percent free-throw shooter) isn’t gonna improve overnight. In points leagues he’s a viable option, but he’s still not rosterable for me unless you’re punting percentages or are in an 8-category league (no turnovers). This kid has all the talent in then world, he just needs a chance to show it. Being in Scott Skiles’ demented rotations has afforded Hezonja little playing time up until the last two weeks, but we are now seeing what he can do when given extra run. Since January 31, the 20-year-old Croatian is averaging 10.3 points, 3.0 rebounds, 2.0 assists and 1.7 treys per game. Not earth-shattering numbers, but that’s not bad considering he’s done it in just 23.6 minutes and is clearly seventh on the Magic’s offensive pecking order. He’s worth a speculative add on the chance that Tobias Harris is sent packing at the trade deadline. The #FreeBobbyPortis movement has lacked wings. Portis became an instant sensation without even playing more than a few minutes because some fantasy outlets decided he was ready to break out. They were wrong, like often times before, and the hysteria that was built up came to a halt before it even had a chance to gain momentum. The Bulls, however, are in the midst of a big slump, losing six of their last seven games, and it’s become clear that this current team isn’t winning any titles. If management decides to blow the roster up it could “free” up more playing time for Portis. Taj Gibson did injure his foot right before the break, though it doesn’t sound too serious. It couldn’t hurt to stash the promising young forward just in case. His main draw is his defense, it’s what the Kings drafted him for — a defensive presence next to DeMarcus Cousins in the paint. So any offense you got out of him over his last 13 games is fortuitous. Of course, 8.6 points isn’t exactly “offense”. His 6.7 rebounds and 1.2 blocks during that span have been nice though, and deep-leaguers could do worse if they need help in those categories. Up till now, we’ve delved much deeper into the rookies, but the quality is thinning out now. Many that were not mentioned above have found themselves completely out of their team’s rotation. Some have been injured as well. 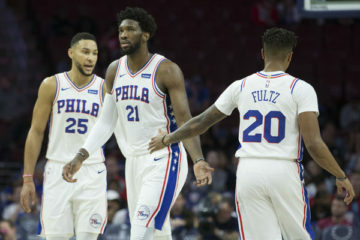 Larry Nance Jr. (7), Cameron Payne (9), Kelly Oubre Jr. (12), Frank Kaminsky (13), Boban Marjanovic (15), Richaun Holmes (16), Rondae Hollis-Jefferson (17), Jonathon Simmons (18), Jerian Grant (19), Justise Winslow (20), Nemanja Bjelica (25). Some D-League call-ups like Bryce Dejean-Jones and Jordan McRae aren’t worth owning, but they are worth monitoring in much deeper leagues. Montrezl Harrell could also be in store for extra playing time if the Rockets decide to clean house.